Responsible coaches are many things to their athletes. Most of the focus of responsibility concerns teaching the athletes the skills that allow them to be successful. All coaches recognize the dangers in their sport, with some scenarios more obvious than others. A track coach may briefly explain a few rules about runner safety, running on the roads and trails, and then forget about it. That is until something tragic happens. Training for success in middle-distance running is much more dangerous than one would expect it to be when analyzing the events of track and field. There are certain environmental factors relating to safety that will need to be addressed by the responsible coach, as well as the injury possibilities that could occur while running on trails, through forests, and up and down hills. These types of inevitable minor injuries go with the territory, and in reality, any activity an athlete may choose to participate in has some particular inherent risk and injury possibilities that are native to that activity. Injuries are part of sport. Unfortunately, there are other injuries caused by accidents that may occur and can be catastrophic to the middle-distance athlete, and could lead to death or disability to the individual. Usually these accidental injuries are caused by running improperly (or properly) in automobile traffic under dangerous traffic congestion situations. However, it is not limited to high traffic situations as an accident can occur at any time. Many of these injuries or deaths could be eliminated by using common sense, following the law, and recognizing the automobile for what it is: two tons of steel that at any time could be driven by an inattentive driver, which is why runner safety is so important. Many drivers feel that pedestrians are an annoyance and are not entitled to the same rights that a vehicle has on the road. 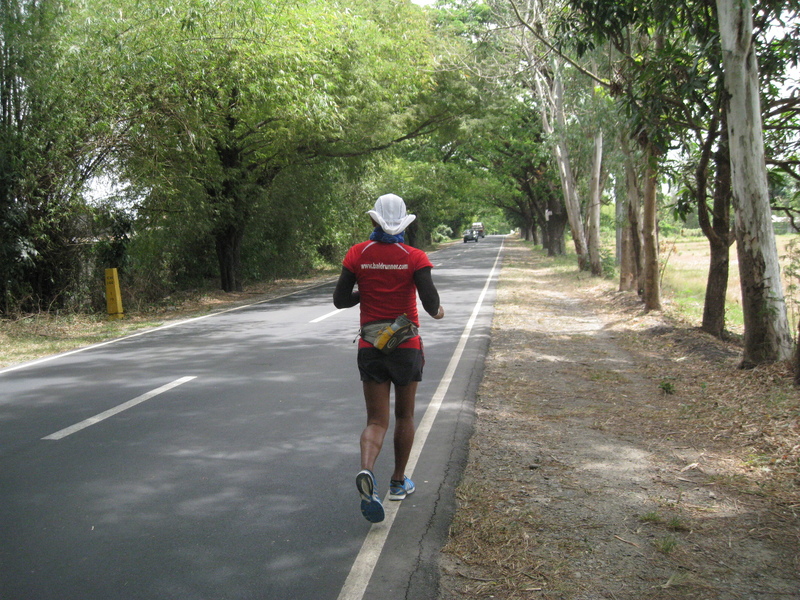 Endurance runners must ward against a defiant urge in making challenges to the driver or car itself while sharing the roadway when something suddenly or unexpectedly occurs. The National Highway Traffic Safety Administration’s (NHTSA) National Center for Statistics and Analysis in Washington, D.C. reported 5,338 pedestrian deaths in the United States in 2011 caused by the automobile. That is approximately one death every 113 minutes. The injury rate is even more alarming at one pedestrian injured every eight minutes. While many of these deaths and injuries were caused by the automobile striking a walker and not a runner, the same laws of physics apply. Training for middle-distance running involves running many miles per week of mindless base mileage at an intensity that can be best labeled as “conversation pace”. Picture a group of teenage runners trying to carry on multiple conversations while running in a pack together. A good number of these miles will be on roadways. Most schools are in populated areas. These two factors, plus the fact that runners are not always attentive at any age, is a dangerous equation. The NHTSA reported 836 pedestrian deaths for junior high school and senior high school aged people in 2011. 73% of these deaths were in urban areas and 90% were during normal weather. And, importantly for runners logging the miles, 77% of the deaths were at non-intersection areas where attention wanes for runner and driver. Always cross the road at marked intersections. Wear bright clothing while running. Follow the traffic laws at stop signs and traffic lights. Always know the route and plan ahead. Teach the athletes to observe the driver’s eyes as they approach cars. Run on the shoulder of the road, always facing traffic. Use extra caution and wear reflective gear at night. Run single-file under all circumstances. If you run with your team model safe behavior. As the coach, always stress runner safety above all else.